Kata are the traditional predetermined forms or patterns of karate. In the Shotokan system as practiced by the DCU club there are 27 kata ranging from beginner to advanced. Each kata teaches various principles of movement and self defence appropriate to the level of the practitioner. Also, within the moves of the different kata are various exercises for improving breathing, balance and co-ordination. In the most basic and controlled forms (kihon kumite), everything is predetermined and the attacker and defender each know exactly which techniques will be used and when. 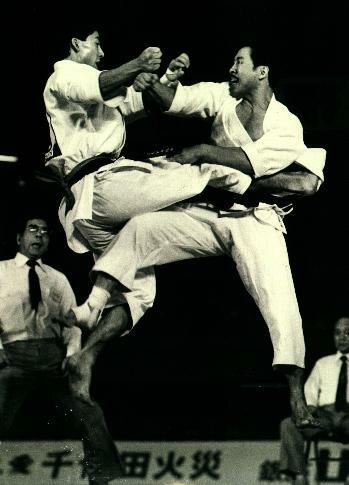 Then, at the opposite end of the spectrum is jiyu kumite (freestyle sparring), where techniques are exchanged freely. This jiyu-kumite forms the basis for competition karate. Dynamic Karate, Masatoshi Nakayama (Detailed explanations and photographs of all fundamental Shotokan techniques and how to apply them. Does not cover kata). Karate: The Art of Empty-hand Fighting, Hidetaka Nishiyama (First published in 1960, this is one of the first books written in English on Shotokan. Provides detailed explanations and photographs of all the fundamental techniques. Also covers kumite and kata (but only heian yondan). Best Karate, Vol.1: Comprehensive, Masotoshi Nakayama (Demonstrates and explains the basic techniques, kumite and kata of Shotokan).